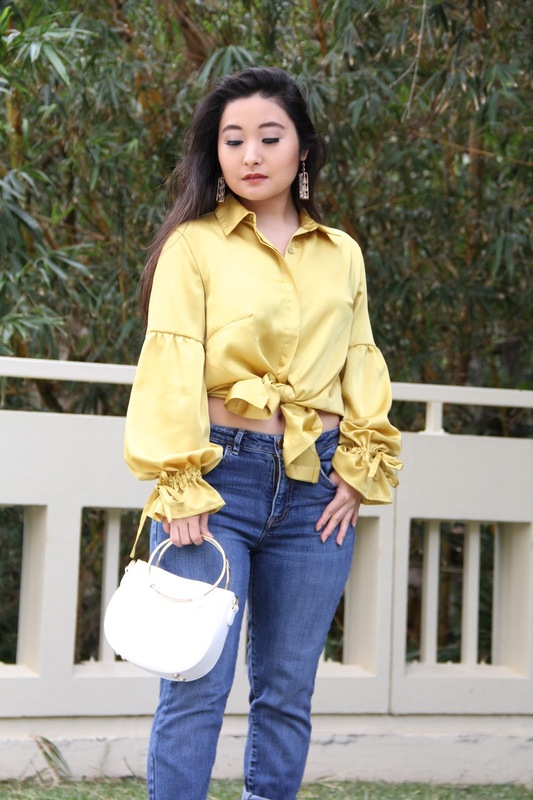 This canary blouse is like a splash of sunshine. 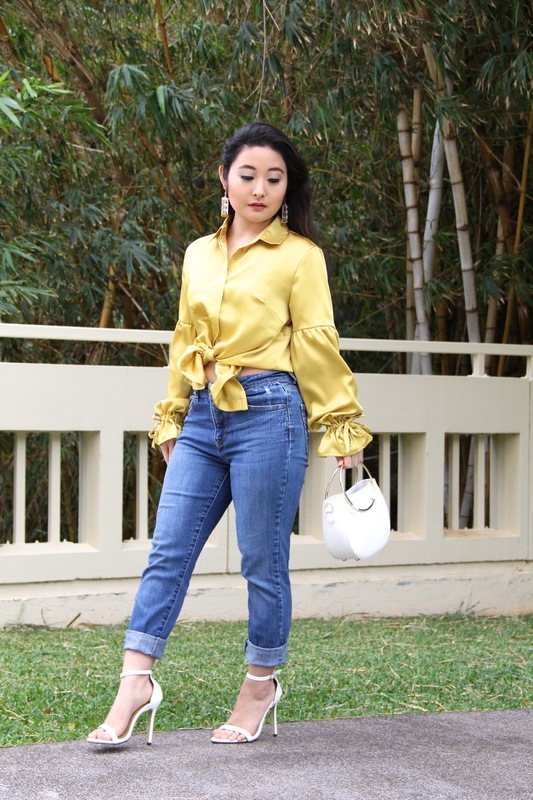 Not only have I been looking for a versatile blouse with a satin finish, I have been searching for tops with billowy sleeves. As you can imagine, I was absolutely thrilled to find this piece at Gamiss. 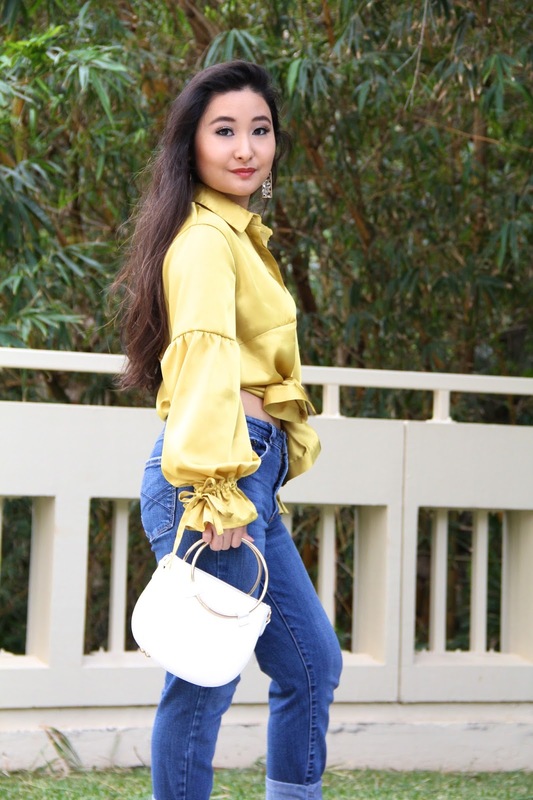 Today I styled this canary beauty with cuffed jeans for an effortless casual look. Since I've been trying to shy away from choosing black accessories, I decided to start incorporating white and ivory ones into my ensembles. 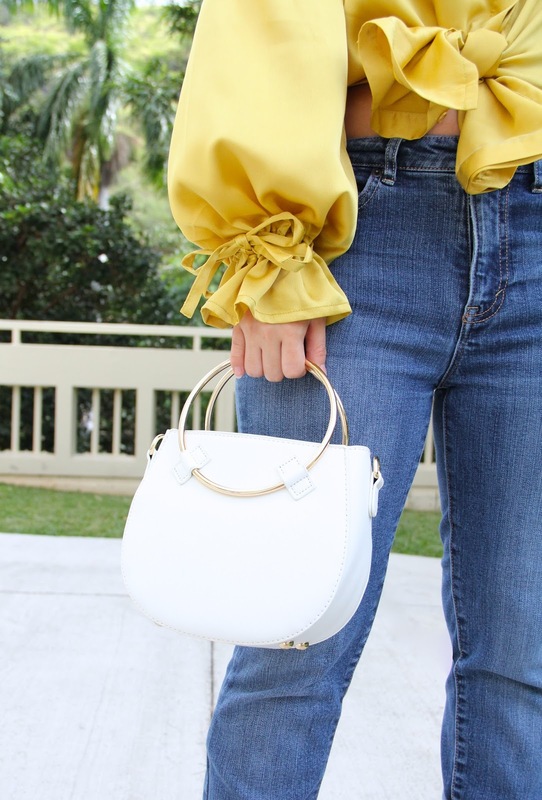 To pull the whole look together, I chose a pair of comfortable white heels and this sleek white and gold purse (both are also from Gamiss, so check it out!). And for jewelry, I chose a pair of crystal drop earrings that I created a few days ago. They add just the right amount of sparkle! Let me know in the comments below what you think about these earrings. Would you wear these, and if so, what would you wear them with? Thank you so much for stopping by my blog! Hope your day is full of sunshine, love, and laughter. As always, I am sending you lots of love from my heart to yours! 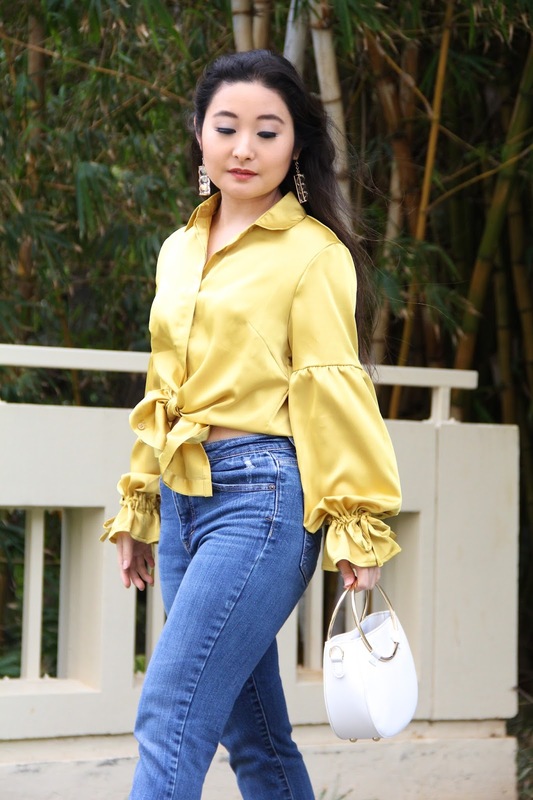 Lois-Ann Yamanaka would love this yellow blouse in this Year of the Rooster! The earrings too! What a great look! Thank you so much, Uncle Mel!